Rocky Mountain Aardvarks - Get Involved. Make Friends. Enjoy Motherhood. A MOD Moms business. Rocky Mountain Aardvarks is the refreshing alternative to traditional music classes for babies and toddlers. 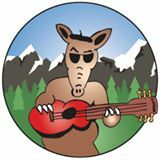 We offer Music for Aardvarks and Other Mammals classes which brings a smart and silly, educational and entertaining, insightful and playful alternative to the Denver/Boulder kids’ music scene. We make it fun—not only for children, but adults as well—by sharing original songs about the trials and tribulations of being a kid, getting to know the world around us and looking at the familiar in a new way. We’re not just about entertaining, though that will help the learning sink in deeper. And we’re not just about the education, though learning is fun! The songs are original, the vibe is funky, and the time you’ll have is rockin’ good one! Our informal, spirited classes are geared toward children three months to five years old and incorporate singing, dancing, musical storytelling, instrumental jam sessions and more. It’s an interactive musical experience for the whole family!